Discussions of logistics in the food industry are overwhelmingly concerned with the forward supply chain, that is, getting products from farms or factories to retailers where they can be sold. But these supply chain operations are only half of the logistics system. Once food products arrive at markets, something has to happen to the shipping platforms and packaging materials that were used to transport them–and to any unsold foods. Effective reuse of materials and resale or proper disposal of unsold products requires the establishment of a reverse supply chain. Yet, this part of logistics is often ignored. In the food industry, reverse logistics systems aren’t typically well organized, and shipping materials and unsold product often end up in the nearest landfill. This situation is becoming increasingly untenable as consumers and regulators become more conscious of waste and want more done in the way of reuse and recycling. As a result, the previously ignored post-market segment of logistics is quickly becoming an important part of business planning in all industries. Reverse logistics in the food industry, however, remains particularly challenging. Perhaps the biggest challenge of reverse logistics processes within the food industry is that food is a perishable product that can be rendered unsafe by even small lapses in process controls. While manufactured goods that are slightly damaged or unsold can be shipped back to the manufacturer for repair, sold at a discount, or used for parts, most food will exceed its sell-by date by the time it returns to the producer. At first glance, reverse logistics in the food industry seems implausible since the remanufacture of food isn’t usually an option. Every return that occurs in the food supply chain is treated as a unique individual transaction. The result is that companies in the food industry strive to avoid returns and rejected loads whenever possible. When returns of this sort do occur, the return journey usually consists of checking the batch number, writing the load off, and making the trip to the nearest food bank or dump. This process illustrates the second challenge of reverse logistics in the food industry: the absence of established practices and networks to enable the return of products or the materials they ship with. Every return that occurs in the food supply chain is treated as a unique individual transaction, and as a consequence, these returns tend to have greater operational times and expenses. They can also disrupt the existing forward supply chain since they may repurpose facilities and personnel to handle a transaction they don’t usually perform. Information Loss: Without reverse logistics policies, companies have no opportunity to collect data that could point to the existence of procedural lapses in the forward supply chain. Opportunity Losses: Items in a rejected load may still have value. In many cases, loads are rejected due to exterior product damage and the majority of the load is still safe and sellable. If the damaged items are removed and the load repacked, the remaining products might still be sold for a profit. Waste: Many types of packaging and shipping materials can be reused or recycled. The absence of a reverse supply chain makes it impossible to take advantage of opportunities for reuse or recycling. Companies in the food industry that develop reverse logistics procedures and networks may qualify for existing tax incentives and credits. The growing concern about waste in landfills–and food waste in particular–makes a compelling reason for food manufacturers and distributors to begin developing plans for reverse logistics. Public concern prompted the introduction of the Food Recovery Act of 2015 and the Food Recovery Act of 2017; although neither bill has so far been passed, they testify to an increasing awareness of how much food goes to waste in our country every year. In the meantime, companies in the food industry that develop reverse logistics procedures and networks may qualify for existing tax incentives and credits from local governments and may be in a better position to take advantage of any future incentives that are passed into law. The reverse supply chain is effectively a separate supply chain with its own practices and needs that operates in parallel with your forward supply chain. Trying to use the same transportation and facilities that serve your existing forward supply chain to create a reverse supply chain can cause disruptions and interfere with getting your products to market. In the food industry, distraction and disruptions are especially problematic because of the potential for food spoilage due to lapses in controls. Reverse logistics in the food industry demands carefully developed practices tailored to a reverse supply chain as well as transportation assets and facilities. The solution for developing a reverse supply chain is in partnering with companies that specialize in reverse logistics operations. The majority of companies in the food industry don’t have the resources needed to set up a reverse supply chain in order to reuse packaging materials, separate undamaged products from damaged products in a load, or repurpose unsold food for animal feed or compost. The solution for developing a reverse supply chain, then, is in partnering with companies that specialize in reverse logistics operations. While reverse logistics is still a fairly new idea, it is possible to find partnership opportunities. 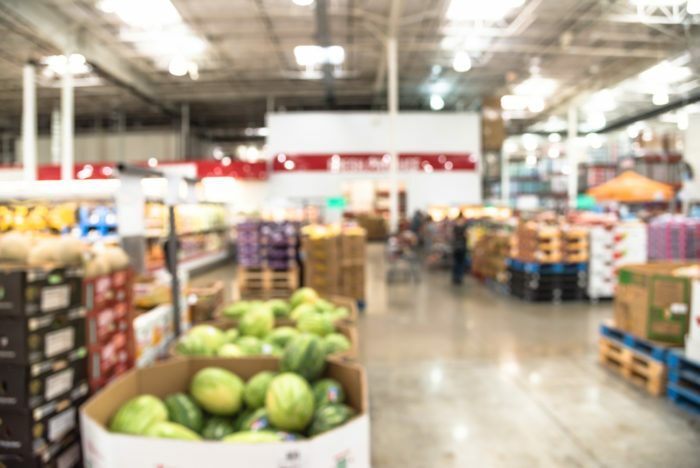 Companies that want to enjoy the benefits of food reclamation can partner with food banks near their retail partner’s distribution centers in order to make the most of a rejected load. In turn, these retail partners may develop partnerships with farms or composting operations in their region that will put unsold food to better use than landfilling. End retailers can also arrange for the recycling of packaging materials. Shipping platforms like pallets can be kept in use longer and out of landfills by contracting pallet management out to a pallet pooling program which provides pallets to a network of clients. These companies manage the flow of pallets in their pool to ensure that they are used in the most efficient way possible, and in doing so are able to take the hassle out of reverse logistics and pallet management. Since the use of pallets is nearly universal across the food industry, choosing a pallet pool that specializes in providing high-quality, reusable food grade plastic pallets is a great way to begin creating a reverse logistics chain that will reduce waste and ultimately lower your company’s Total Cost of Business (TCOB). The iGPS pallet rental program provides a high-quality plastic pallet and manages all aspects of pallet logistics to ensure you always have the pallets you need when you need them. To switch to a reusable plastic pallet that can save your business money, give our team a call at 1-866-636-6443, email a specialist at switch@igps.net, or visit our contact page.